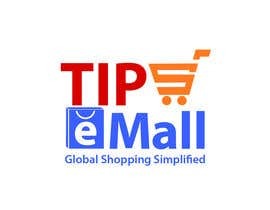 I need someone to design a logo for "TIPS eMall" its an eCommerce site like eBay and Amazon. There has been an update it is not tipsemall or TIPSEMALL rather it is "TIPS eMall"
#33 is almost there. Could you make TIPS all uppercase and the logo itself a little larger. Contestants I want the slogan to be “Global Shopping Simplified” and Please note the case of the words "TIPS eMall". Please note contestants its "TIPS eMall". Please note the case of the words. Also who will be your target audience who'll visit the site regularly? It is for an E Commerce website like ebay. here is what I am looking for place TIPS in red above the eMALL. You then Place them on a globe. Please note contestants its "TIPS eMall". Please note the upper and lower case of the letters.